I’ve worked as a professional writer for 30 years, since graduating from Columbia in 1985. I make my living in what they now call marketing writing, but what used to be called other things like public relations or copywriting. I live in that world 8 hours a day. At the end of that day, I want to work on something else, something closer to my heart: fiction writing. I’ve dabbled in it all my life, off and on, but, now in my early 50s, I’m feeling a new commitment to it. About a year ago, I plunged back into it, thanks to some help from some good friends, a very good reading/writing group, and an excellent writing class here in Tucson, AZ, where I reside. The th ing is, for the better part of a decade prior, I was not writing. Nothing felt good. Sometimes I strapped myself in for Nanowrimo (that’s National Novel Writing Month). I’d write my 50,000 words in the 30 days of November but end up with an ungainly mess that I could barely stand to look at, a child I’d rather leave on someone’s doorstep than take responsibility for. Sporadically, I’d produce a globule of writing, which would end up residing uneasily on my hard drive, not knowing if it was wanted or not. The years when I wasn’t writing productively were bad. I felt lost. I had a job, and family. But no purpose. And no sense of my own identify. I was just a guy taking up space in the world, like the writing fragments taking up space on my computer. But when I started writing again, I found myself again. As the writing muscles flexed, and the words began to flow, I felt as if my very life juices were beginning to flow again. I knew who I was. Why I was on this planet. 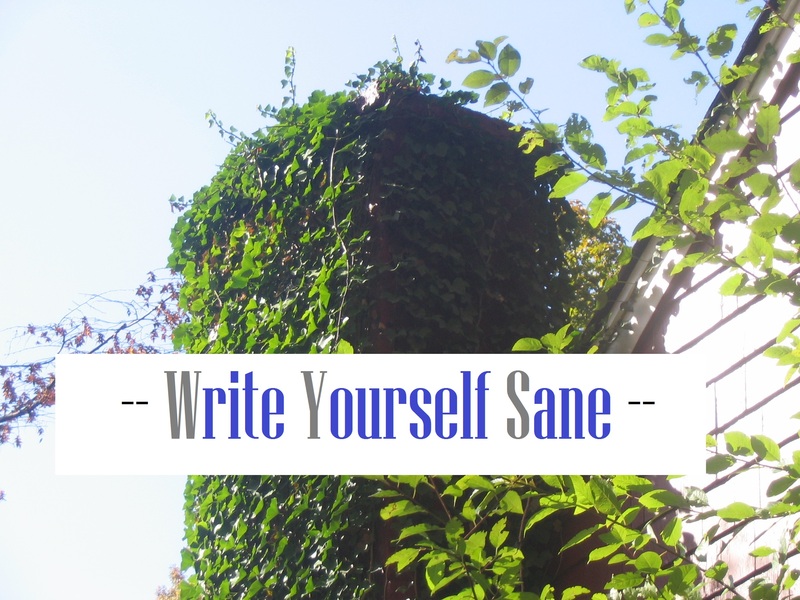 But the best reason to write is to stay sane. Yes, sane. After all, it’s a tough world out there. It’s not always fun. The news is wall to wall with hatred and craziness. It’s a Kellogg’s Variety Pack of shame, violence, inhumanity, vulgarity and Kardashians. The world can wear you down, trample on your joi de vivre and take the starch out of your sunflower. If you are meant to write, born to write, I believe you will lose your sense of self if you fail to do so. In Orwell’s words, you will outrage your true nature. That’s what I’m going to try to do this with this blog, jotting down thoughts on writing, some heady and high flying, some practical and soil-based. I’ll talk about books I’ve read, movies I’ve seen. Conversations I’ve had. Classes I’ve taken. Journals I’ve submitted stories to. Anything that feeds the spirit and charges up the creative batteries, and leads you to write, write, write. 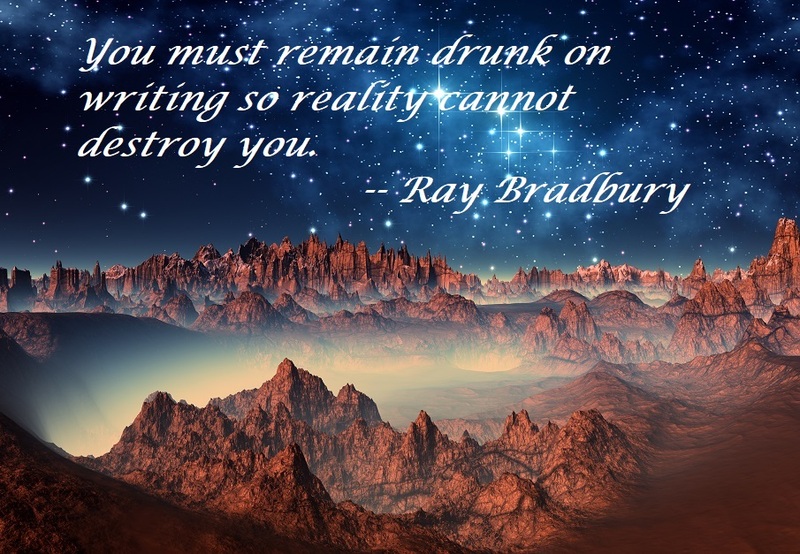 I have a corollary to Bradbury’s sentiment, a parallel sentiment but one perhaps with larger implications for leading a satisfactory life. It’s a motto to remember for any of us who have carried around large baggage, letting the weight stifle our heartsongs from ringing out loud and clear. So bring forth. Write. Yourself. Sane.